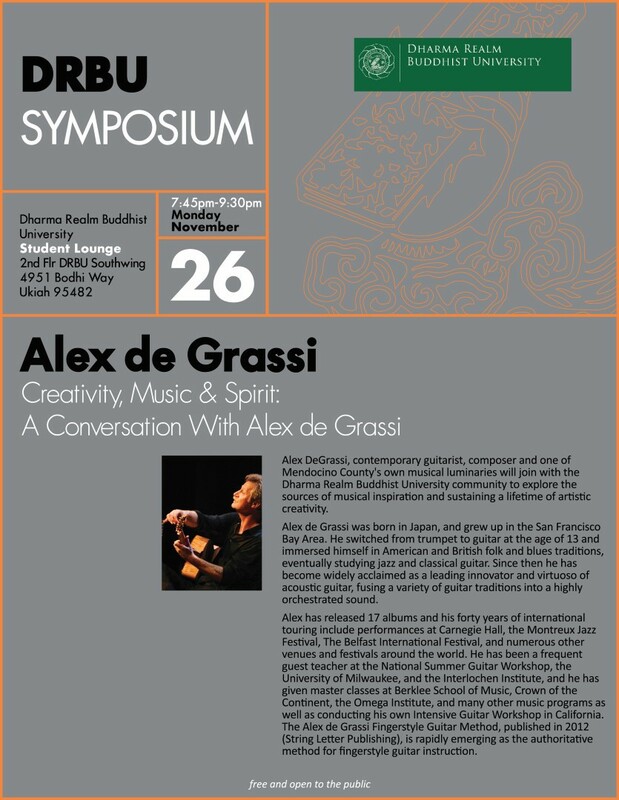 Alex de Grassi, contemporary guitarist, composer and one of Mendocino County's own musical luminaries will join with the Dharma Realm Buddhist University community to explore the sources of musical inspiration and sustaining a lifetime of artistic creativity. Here is a brief video of Alex de Grassi introducing his custom signature Lowden guitar, which he will be bringing to DRBU next week. Alex's artistic sensitivity is viscerally conveyed as he explains what he looks for in an instrument.